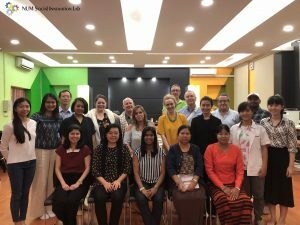 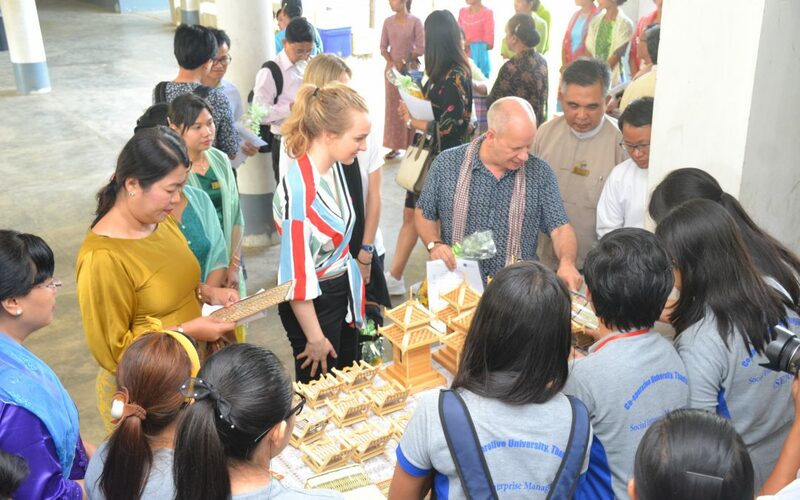 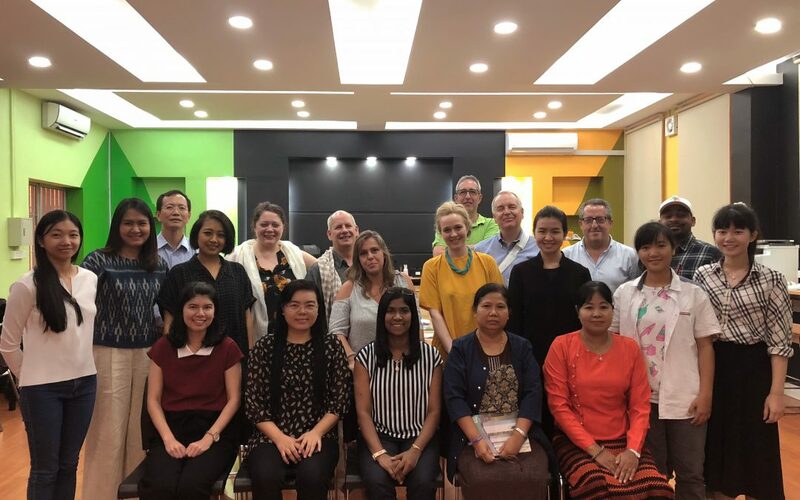 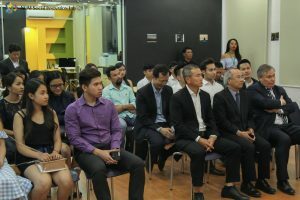 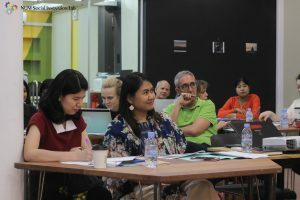 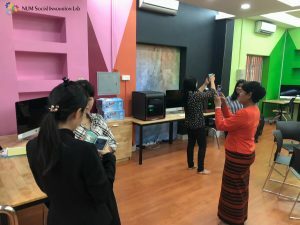 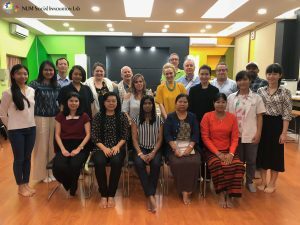 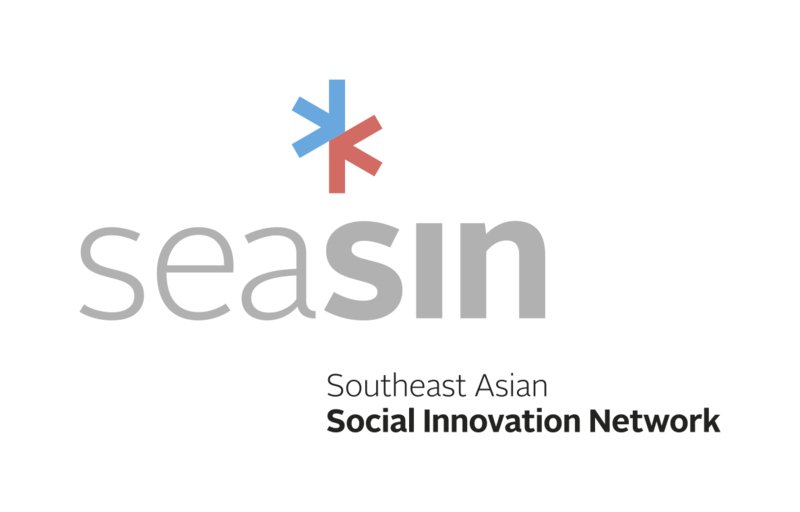 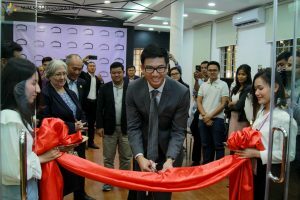 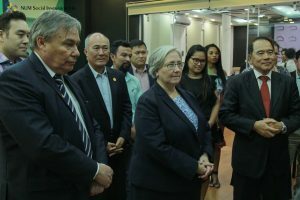 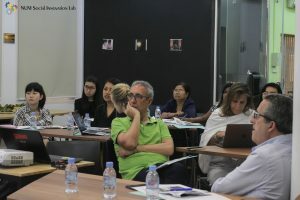 NUM Social Innovation Lab welcomed SISU and our partners on their second evaluation visit to our space, which located in National University of Management, Phnom Penh, Cambodia. 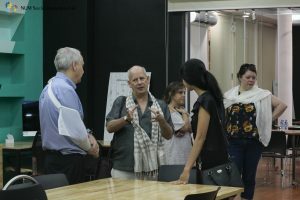 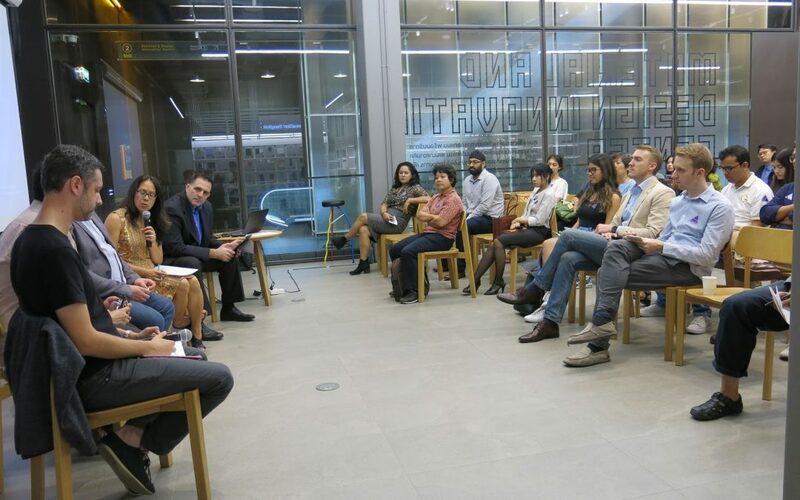 Unlike the first visit where the space was only established, we were able to show both of our event space and incubator space along with more information such as stakeholders, social enterprises and other activities which had been hosted in our space. 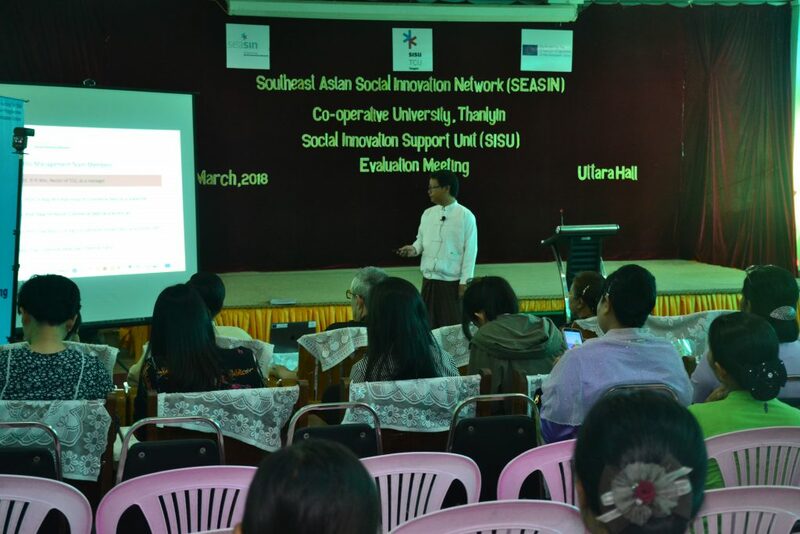 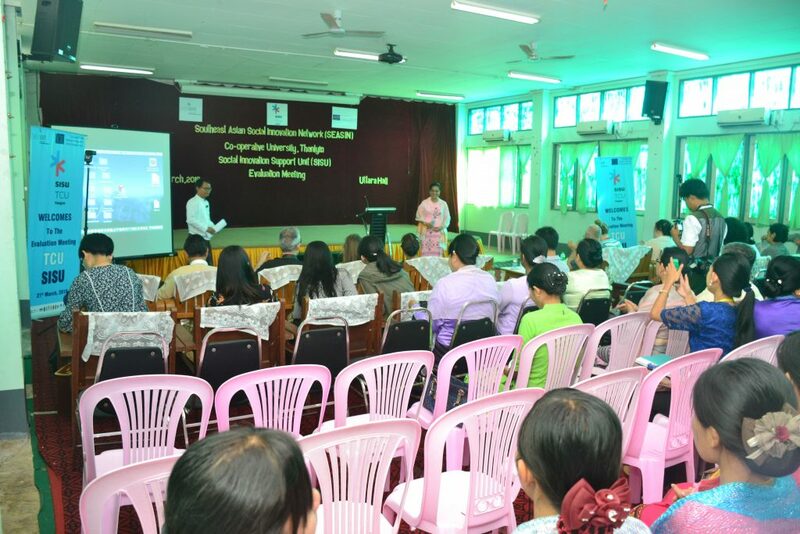 On 21.3.2018, TCU SISU Team conducted the evaluation meeting between SEASIN project members and Co-operative University, Thanlyin. 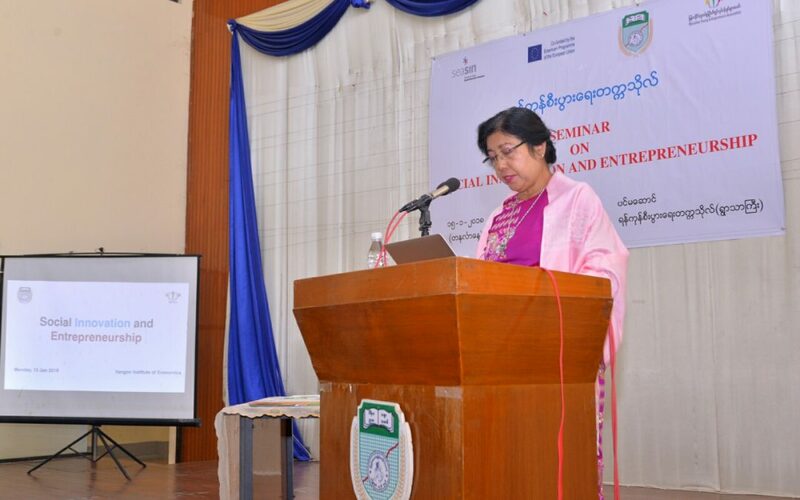 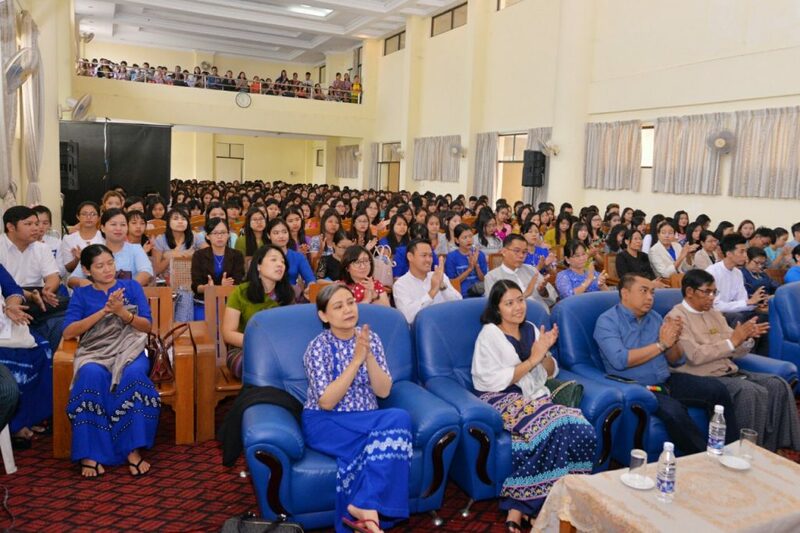 On the event, Rector Prof. Dr.Yi Yi Win (Manager of the SISU Team) delivered welcoming speech to audiences. 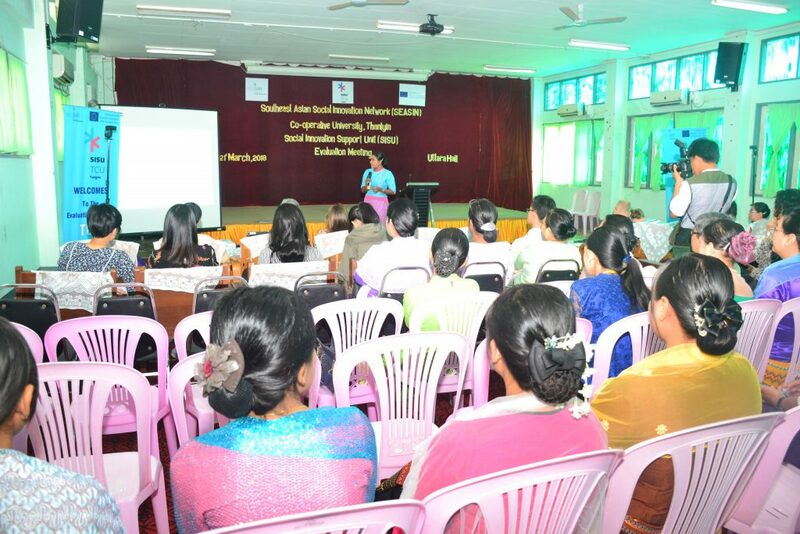 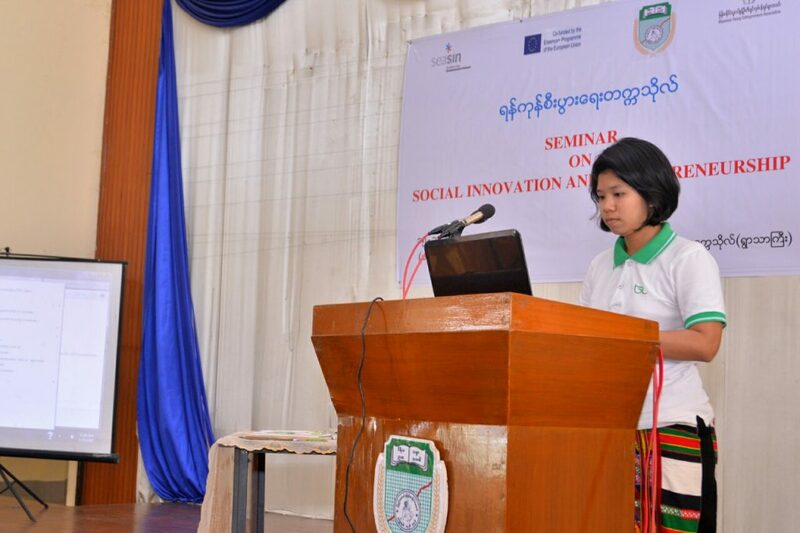 Firstly, Dr.Nay Min Aye, Ms.Tin Nyunt and Ms.May Lin Aung presented on TUC SISU activities. 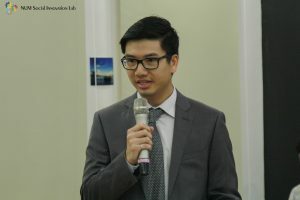 Secondly, Dr.Daw Tin Hla, member of Advisory and Evaluation Committee was remarkable for TCU SISU activities and other A&E member also remark respectively. 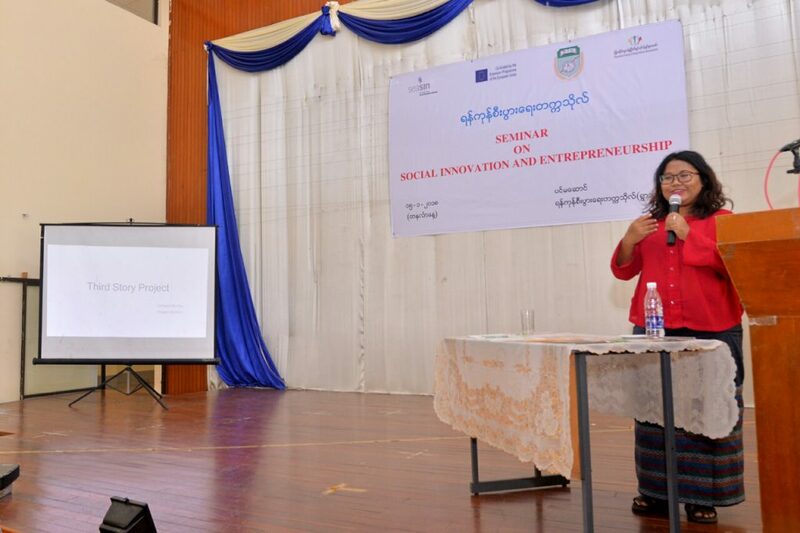 Thirdly, TCU stakeholders introduced to the audience regarding with their social innovation ideas and experience of their business. 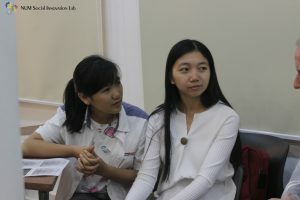 Fourthly, two groups of SISU users’ presentation conducted in SISU class room. 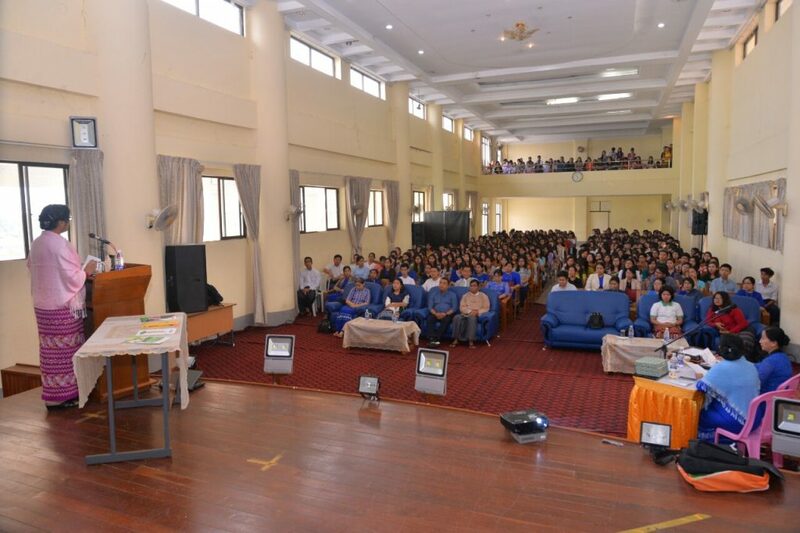 Then, tour of the SISU and meeting with SISU users were conducted. 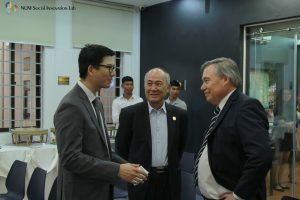 After that feedback and consortium session. 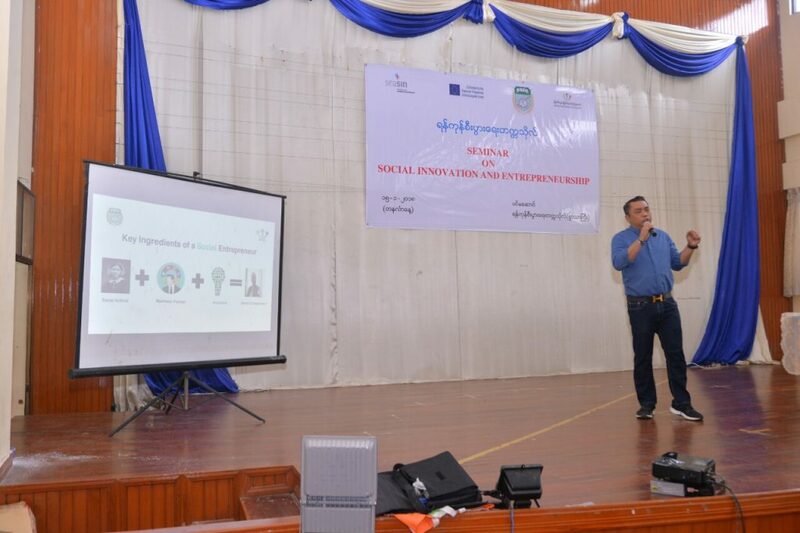 Finally, SISU team took group photo together with the participants and social innovators. 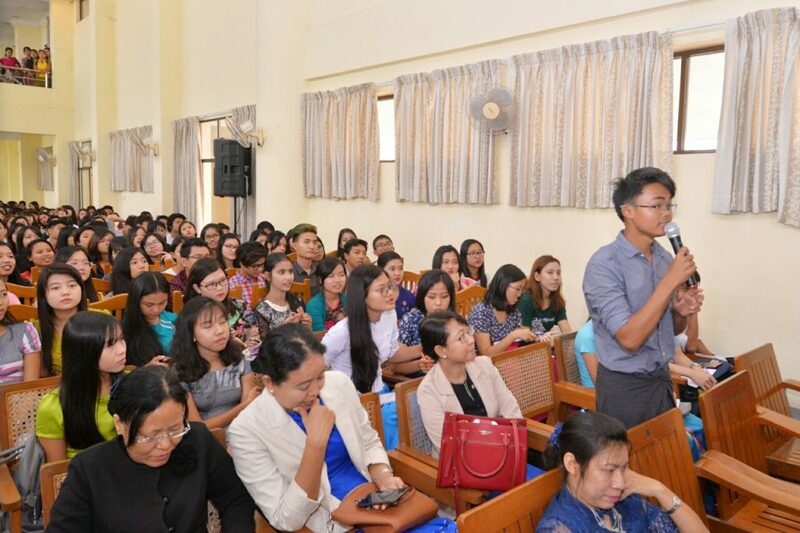 The session was ended at 12:30 pm. 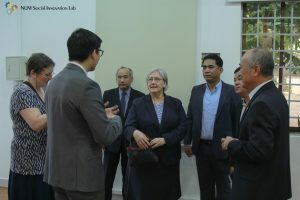 NUM Social Innovation Lab Host Demine Robotics opening ceremony which we were very grateful to have his excellency Ly Thuch, 1st Vice President of Cambodian Mine Action Authority, Honorable Donica Pottie, Canadian Ambassador and his Excellency Dr. Hor Peng, Rector of the National University of Management and many other honorable guests for joining the opening ceremony which happened yesterday. 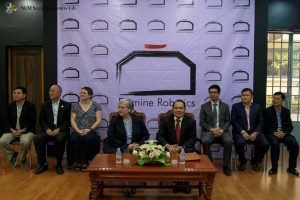 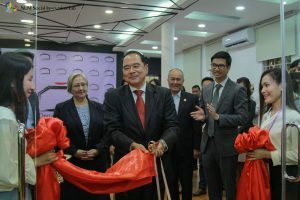 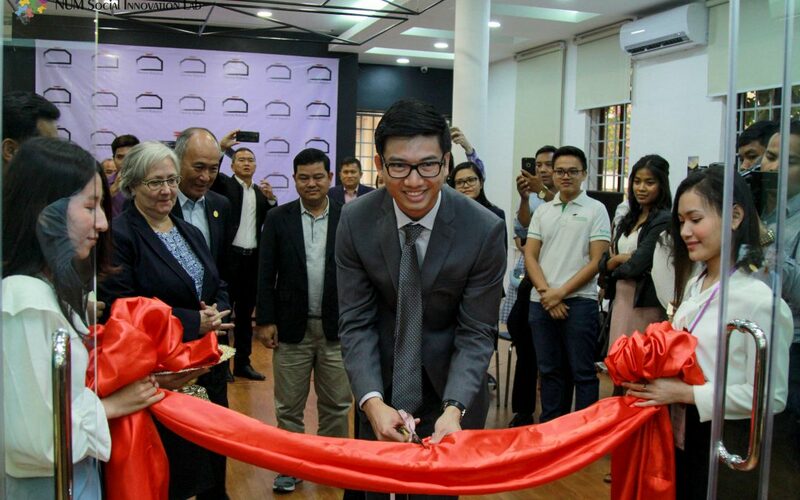 NUM Social Innovation Lab would like to congratulate and officially welcome Mr. Richard Yim, a Cambodian-Canadian engineer, an entrepreneur and the co-founder of Demine Robotics and his team to set up a satellite office in our lab.